Join the Toronto Design Offsite Festival (TO DO) and design firm figure3 for the August edition of TO DO Designer Drinks, taking place Tuesday, August 7, 2018, from 6pm-9pm at Carlotta Bar – rooftop at The Beverley Hotel. This month’s Designer Drinks is co-presented with the Interior Designers of Canada. 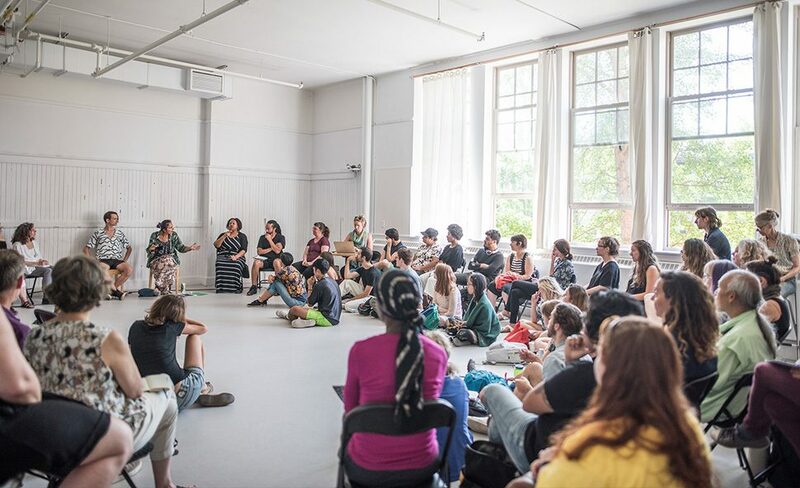 Summerworks is the largest curated performance festival in Canada and features a wide range of performance styles from dance and music to live art and interdisciplinary work. The 11-day festival also includes workshops and social events. The Mulan International Film Festival runs for 8 days and features Chinese-language films as well as films about China’s history. This year the festival has focused on including films made by or about women and those from young emerging filmmakers. Head up to the Shops at Don Mills this weekend for ArtWalk in the Square, featuring more than 70 artists working in a variety of mediums including photography, painting, sculpture and more. The AfrOURban collective aims to document the culture, architecture and urban spaces of Africa. This exhibit will be an exchange of experiences and ideas, about Africa by Africans and will explore a variety of topics through multiple different mediums.